Are Jesus’ teachings relevant to today’s Christianity? While Christian scripture espouses and explains love, simply reading the Bible doesn’t instantly make one a loving being. 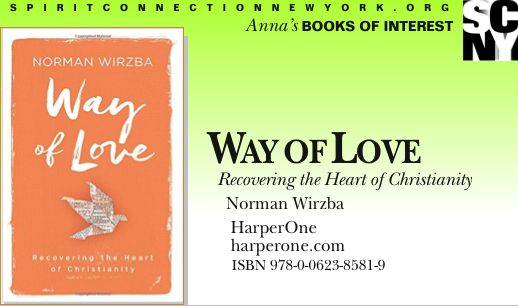 Wirzba prefers to think of Christianity as training for becoming a loving person. He tells readers that Jesus’ original vision of the church was for it to be that training ground for love and that modern Christianity should honor that original calling. A professor of theology, he discusses issues like Learning in Community, Knowing the Love of God, Perceiving Creation, God’s Gardening Way with the World, Freedom and Restraint, The Disaster of Sin, The Ritual Forms of Communal Life, and The Dangers of Heaven, and tells us that “faith without love is deadly”. He’s asking today’s Christians for a renewal of the commitment to practice love as an act of faith and spiritual growth.